President Donald Trump has vowed to change the White House relationship with the mainstream news media and expand access to include new media. And Trump is justified in denouncing the news media’s obvious bias. Instead of discussing the inauguration crowd size properly and fairly, ABC’s George Stephanopoulos (a former top aid to Bill and Hillary Clinton) called Trump a liar on his Sunday morning show. It’s amazing how far the biased news media has gone to impact an election, which is not their job. Trump’s fight against media bias isn’t a new one. It happened before, in Chicago, and I was at the front lines of that storm. No one in the major media believed Jane M. Byrne would crush the Chicago Machine and Mayor Michael A. Bilandic in February 1979, but she did. Byrne’s biggest battle, though, was with the news media, and that is Trump’s challenge, too. Byrne failed, but in Trump’s case, he can succeed. Although Byrne began as a reformer, she flipped and embraced the very “Evil Cabal of Men” she denounced during her campaign in less than six months. Byrne made “Fast Eddie” Vrdolyak and the Chicago mob her Council leadership abandoning her reform Council Floor leaders believing they were inept. She realized they were trying to strengthen her real political threat, Richie Daley. Byrne’s first anti-media outburst came in August 1979 in response to a column I wrote that detailed her plans to oust Cook County Circuit Clerk Morgan Finley. Finley broke a promise to hire her husband, Jay McMullen, two years before. The column angered McMullen who threatened to punch me in the nose. “I don’t need my wife to fight my battles,” McMullen yelled, but his wife did fight his battles, blaming the story on media bias. Within one year, Byrne was fighting all the media. She ordered City Council Sergeant-at-Arms Mike Coletta to give 10 more community news outlets access to the already crowded City Hall Press Room. The newsroom had desks and telephones for myself, the Tribune, Sun-Times, WIND Radio, City News Bureau and the Defender. An ante-room had desks for WBBM, WMAQ and WBEZ radio. The added desks left no room to maneuver, but it didn’t work. Although Byrne invited the community news media to cover City Hall and “compete” with the Hall’s regular media, she was decades before her time. The community media didn’t have the resources and couldn’t sustain the access. There was no Internet, blogs or social media to circumvent the mainstream media to reach Chicagoland’s audience. The personal computer was new. I brought the first one to City Hall in 1979. The Tribune and the Sun-Times followed. Soon the media was mastering computer technology. But it’s different for Trump today. With the Internet and social media, Trump doesn’t have to be hostage to the mainstream news media, the way Byrne was. Trump can give his news to the alternate media of bloggers and Twitter scribes. Trump can Tweet his releases instantly to 15 million followers and writers who can provide more objective coverage of his administration. He can ignore the big media networks like ABC, CBS, NBC, WGN and even FOX, and all of the newspaper giants like the Tribune, Washington Post, and more. Of the nation’s top 100 newspapers, only 2 endorsed him for president over Clinton. Their predictions and analysis were wrong. Why should he continue to cater to them? Trump doesn’t have to give the media free space, telephones or Internet access. He doesn’t even have to give them rooms to work. They’re owned by big corporations and they can afford to pay. 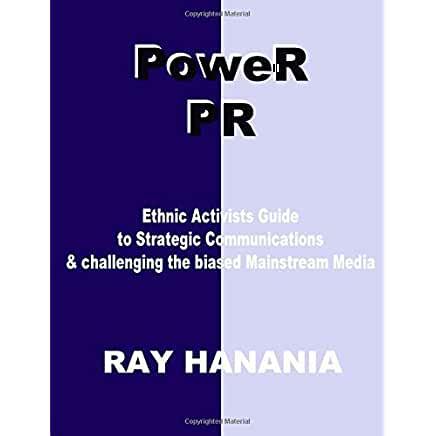 The smaller media is the media that needs support, including independent and community media that have traditionally been excluded from the White House by the major media and complicit administrations. Trump should invite independent journalists and columnists to cover his administration. Put them in the front row. Tell Stephanopoulos he’s out. This would encourage more diverse news reporting and more competition, something lacking today. Unlike Byrne who failed, Trump can win. The times are different. The media has changed. The Internet allows access to a huge audience. That would be good for America. THIS POST HAS BEEN READ 9454 TIMES SO FAR. THANK YOU!